Messenger Kids is Facebook’s new app for kids 6 to 12. It has no ads. It’s also a giant ad for future Facebook use. On Messenger Kids, there are fun filters, and kids can only message with people their parents have approved in advance. There’s a new kid on the playground … but it’s actually just Facebook disguised in a Minions T-shirt and Heelys. Say hello to Messenger Kids, Facebook’s new messaging, chat, and video app for children aged 6 to 12. Federal law prohibits children under 13 from having Facebook accounts, but this app acknowledges that many of them are online anyway and tries to create a safe space for them, one where parents can control who their contacts are and where advertising and in-app purchases won’t try to entrance their still-developing minds. The app is free and only available in the U.S. on iOS for now, but Facebook plans to expand to Android in the future. The app boasts Snapchat-like filters, stickers, and drawing tools for kids to play with, in addition to “kid-appropriate and specially chosen GIFs,” which is a semi-hilarious thing to imagine. Facebook worked with parenting groups like the National PTA to develop the app. Parents must authenticate kids’ accounts before young’uns can begin using it. In contrast to Amazon’s pointless recent effort to capture a teen audience, Facebook’s new app seems to recognize that, despite the Children’s Online Privacy and Protection Act, many children are likely already on services like Facebook. In announcing the app, Facebook cited figures from market researcher Dubit that claim that 93 percent of 6- to 12-year-olds have access to tablets or smartphones, and 66 percent of them have smartphones or tablets of their own. While the attempt to provide a nonexploitative space for kids is commendable, it won’t be lost on, well, anyone that this move will also groom a new generation of kids into being future Facebook users. One of the quotes Facebook included in its press packet about the product gets at this tension: “Messenger Kids is more than just a fun way for kids to communicate with parentally approved friends and family. It’s also training wheels for social media and messaging,” said Larry Magid, CEO and co-founder of ConnectSafely.org. Training wheels for digital literacy, sure, not to mention a lifetime of social media addiction! Messenger Kids arrives at a time when more and more companies are experimenting with outlets for kids. The New York Times recently created a regular Sunday kids’ section, and Slate’s sister company Panoply houses Pinna, a podcast subscription service for kids. But the difficulty of regulating content for children has also been in the news, with YouTube’s service for kids under a spotlight for the disturbing videos that thrive there. For Facebook, the stakes may be partially existential: Though Snapchat has stumbled since going public earlier this year, it still represents a significant competitor with Facebook for the attention of teens and young adults. 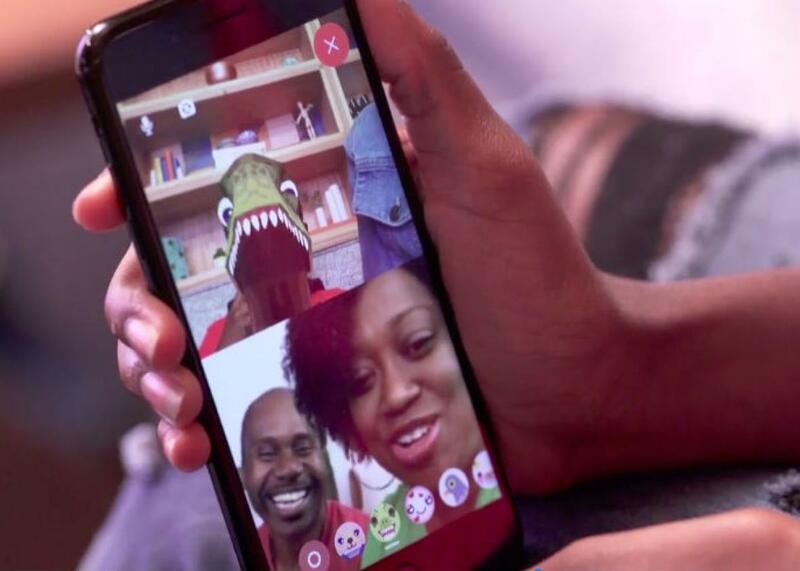 With Messenger Kids, Facebook is getting a head start on hooking the teens of tomorrow. And it’s not just about the age of the audience. Messaging is an increasingly important area for tech companies as well, as they realize that users may spend more time messaging than they do in any other social platforms. All of this is to say: I am very excited to exchange Moana GIFs with my 6-to-12-year-old friends, as long as their parents approve.